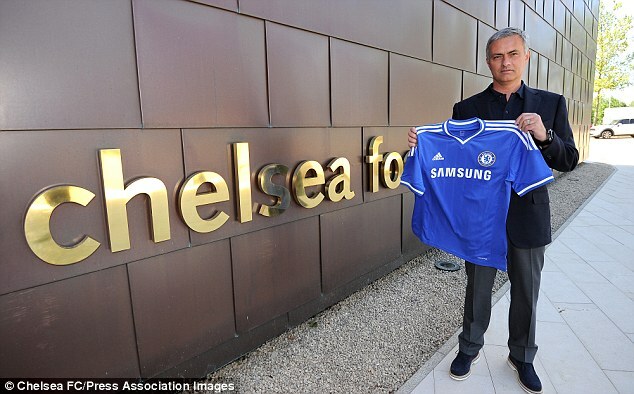 Newly appointed coach of Chelsea Jose Mourinho have described the club as his 'passion' after he signed a four-year deal to become manager at the Stamford Bridge for the second time. Having held meetings to finalise the deal with Blues officials on Monday, just hours after his departure from Real Madrid, Mourinho spoke of his happiness at embarking upon his second spell as Chelsea manager promised to deliver the same quality to Stamford Bridge as he did during his previous tenure. A statement on the club website read: 'Chelsea Football Club is delighted to announce the appointment of Jose Mourinho as first team manager. 'Mourinho has signed a four-year contract and will return to the club where he won two Premier League titles, an FA Cup and two League Cups between 2004 and 2007. 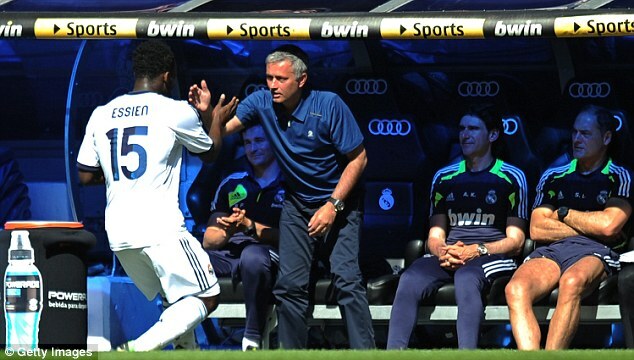 'He brings three coaching staff with him in Rui Faria, Silvino Louro and Jose Morais. Each carries the title of assistant first team coach and will work alongside current first team staff Steve Holland, Christophe Lollichon and Chris Jones. 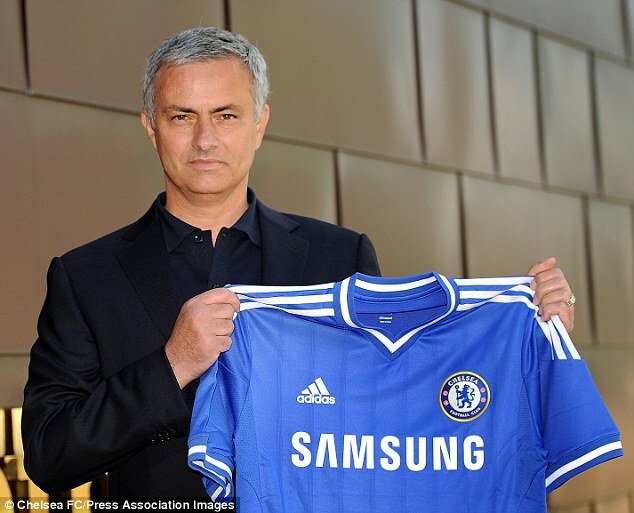 Ron Gourlay, Chelsea's chief executive, added: 'I am delighted to welcome Jose back to Chelsea. His continued success, drive and ambition made him the outstanding candidate. 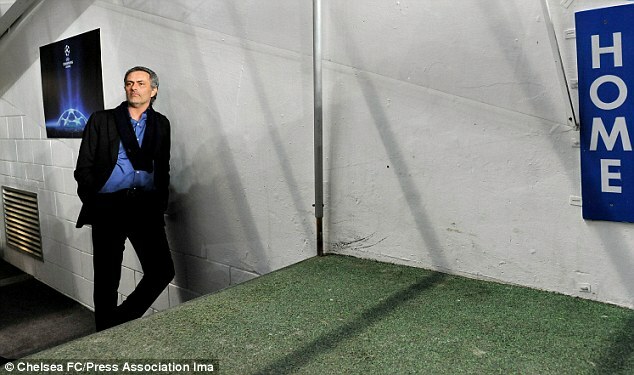 Mourinho had this to say 'It is exactly the same message but now I can say I am one of you and that is the difference. 'I never hid that in football, in my career, I had two great passions. Inter and Chelsea. And Chelsea is more than important for me. 'It was very, very hard to play against Chelsea and I did it only twice which was not so bad. I promise exactly the same things as I promised in 2004 with the difference that I am one of you. 'I had to prepare myself not to be too emotional on my arrival at the club, but obviously I am very happy. 'It was an easy decision. I met the boss, I met the owner and in five minutes after a couple of very short but pragmatic questions, we decided straight away. 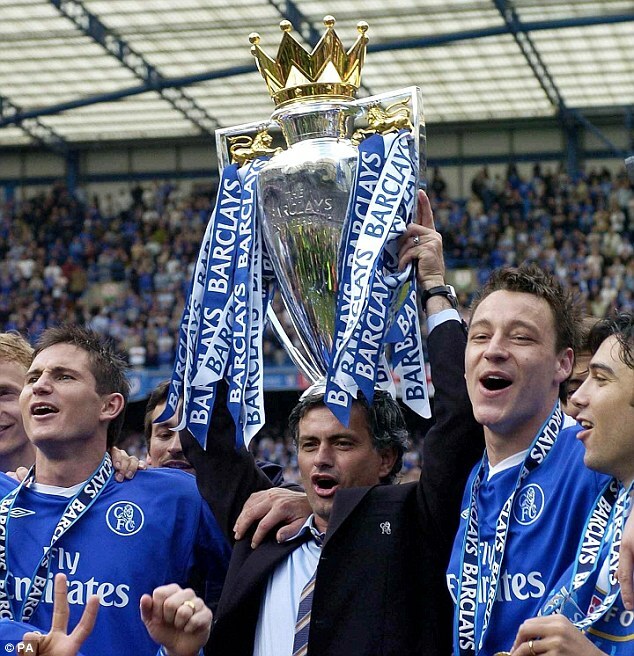 Mourinho feels with hindsight the parting of the ways back in September 2007, when he was replaced by Avram Grant, was perhaps what both needed at the time, as Chelsea have since also gone on to win the European Cup last season. 'It was a difficult moment because I love it here and have a big connection with the club. Also for the club, my departure it was not easy,' he said. 'But if you analyse it in a cool way and you leave emotions a bit apart, I think it was fantastic. 'Because after that I had in my career what I was aiming for and Chelsea as a football club got important trophies after that, with important moments in the history of the club. Mourinho, who until Saturday,was the manager of La Liga giant, Real Madrid where he had problems with some first team players and the Spanish press, will be officially unveiled in a press conference on Monday June 10.